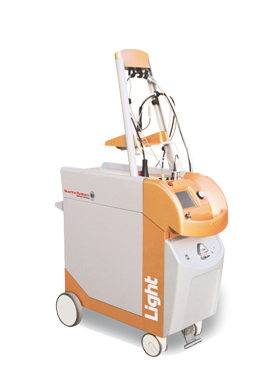 What is Light Star Laser? It is based on the combination of different laser sources including Alexandrite(755nm) and Nd:Yag(1320nm, 1064nm and 532nm). Light 4V is the most powerful “clinic in a system”device available on the market able to be configurable to one to five wavelengths, for hair removal, skin rejuvenation and tightening, leg veins, vascular and pigmented lesions removal, acne and scars management. 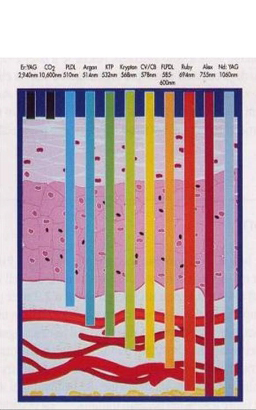 Longer wavelengths are preferable for deeper or larger vessels, because of their greater penetration into tissue and because the relative low melanin absorption allowing for safer heating of the full thickness of the vessel with less risks of epidermal ipo-pigmentaion. 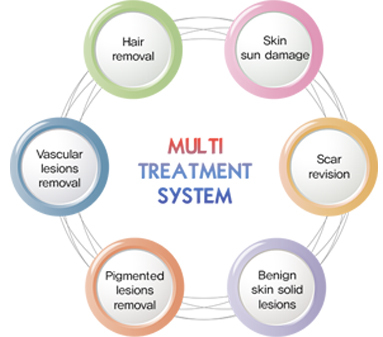 For small teleangiectasia such as those occurring commonly on the face and for PWS, lasers emitting wavelengths at or near 532nm are highly suitable.